Electrical Equipment Labels • Enterprise Label, Inc. 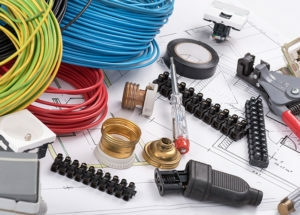 Working with electrical equipment is delicate work whether it’s for a one-time repair or a continuous job. That’s why proper labels are needed to point out dangerous areas and identify improper use, in order to cut down the risk of injury significantly. With our labels, you can be sure that there will be quality and value you can put your trust in. Our four color processing and 6 spot color capabilities will draw users’ attention to the important electrical equipment labels, keeping them safe! Your electrical equipment labels will print flawlessly with Enterprise Label, Inc.’s thermal transfer and direct thermal printing technologies combined with the option for silk screening. For bigger electrical equipment, be sure to consult with one of our experienced professionals about printing options for our grand formal decals, banners, and signs.